RAG’s September 2018 conference will be hosted by Kenyan operator Safaricom at their headquarters in Nairobi. Following the enormous success of RAG Johannesburg in September 2017, we expect RAG Nairobi will attract attendees from telcos across Africa, and to confirm the need for RAG to run at least one major free conference in Africa each year. 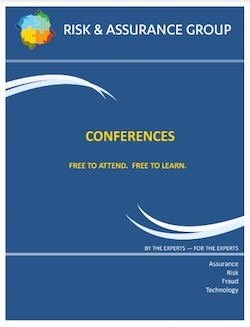 As with all RAG conferences, telcos and regulators are welcome to attend for free. Last year RAG collaborated with MTN to organise Africa’s biggest networking and education event for telecoms risk and assurance professionals. With the help of Safaricom, we intend that our 2018 conference will once again bring together leading experts from Africa and beyond for an unrivalled learning experience. New information will be regularly added to this page, so keep returning for updates. 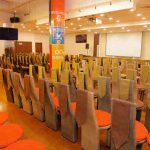 Unlike other conference organisers RAG does not promise speakers until we know they will take part, so we share draft agendas which are updated every time a new speaker is confirmed. Look below for the draft agenda or click this link to open it in a new window. Continue reading for more details about the panels and presentations. The conference will open with senior managers from host telco Safaricom discussing the way they manage their telco’s risks. Director of Risk Management Nicholas Mulila will be joined by Pauline Kieleko, Head of RA, and Patrick Kinoti, Head of Ethics and Compliance. Adrian Harris, Director of New Products at Neural Technologies, has been working at the cutting edge of technology innovation since the 1980’s. He will give a presentation about practical examples of machine learning for fraud management. The changing priorities for revenue assurance is the theme of an expert panel including Noel Clement, Manager of RA and Interconnect at Smile Nigeria, and Nixon Wampamba, General Manager in the RAFM Centre of Excellence at MTN Group. The challenges of auditing an innovative technology-led business will be discussed by a panel including Rachel Goodin, Head of Technology Audit at online retailer Ocado, Denish Osodo, Director of Internal Audit at Safaricom, Hilary Onuorah, who oversees IT audits at MTN Nigeria, and Yuvi Rajha, who manages risk for MTN Group and previously worked in IT audit. Paul Davies of Symbox will draw upon his experience of working for UK telcos Vodafone, Virgin Media, Cable & Wireless, and Orange to explain how automated simulation of telco processes and systems can be used to identify control weaknesses. Lourenço Francisco of Vodacom Mozambique will join the panel debate about why telcos should use active test calling to manage various kinds of risks. Kenneth Mouton, Head of the Revenue Assurance & Fraud Management Business Unit at SIGOS, will walk the audience through use cases for mobile money revenue assurance and fraud management. A high-powered panel will talk about the popularity of mobile money, the interoperability of mobile money services between telcos, and the revenue, fraud and money laundering risks that surround mobile money. Participants include: Douglas Jardine, Head of RA at Vodacom Group; Hiten Patel, Senior AML Manager at Vodafone Group; and Agnes Magero, who oversees AML for Safaricom. The panel will be moderated by Joseph Nderitu, Head of RAFM at Vodacom Tanzania. Luke Taylor of Risk Reward Awards will tell the audience about African telecoms risk and assurance professionals who have been nominated for induction into the industry Hall of Fame. This will be a last opportunity to vote before the polls close! Leading managers from MTN will talk about the ways their group manages its revenue and fraud risks. Tony Sani, Executive for RAFM, will be joined on stage by the team he leads, and they will tell the audience how MTN uses machine learning to counter fraud and robotics for RAFM operations, as well as discussing MTN’s approach to assuring the customer’s experience. Expert panellists from across the industry will share information and review the latest trends in fraud management. Amongst the panel will be: Morgan Ramsey, Products & Services Fraud Manager for Vodafone Group; Philip Cannis, Director of Global Sales at Oculeus; John Haraburda, Principal Solutions Engineer Director at iconectiv; Kallie Calitz, who manages business development at SS7 experts GBSD Technologies; and Abhijeet Singh, Fraud Product Manager at wholesale carrier BICS. Vijay Raghunathan, Head of Business Solutions and Consulting at Subex, will tell the audience about ways telco assurance teams can better leverage artificial intelligence. Dingo Peter, Fraud Prevention Manager at Vodacom Tanzania, will be amongst the panellists discussing emerging cybersecurity challenges. Bill LaRuffa, Executive Director of Business Analytics at TEOCO, will speak about the ways network analytics can enhance business value. Lee Scargall of RAG and formerly Director of Risk at Ooredoo Group, will moderate a panel about managing enterprise risk as telcos broaden their range of digital services. He will be joined by Ken Kaberia, Head of ERM at Safaricom, and Patrick Gitau, a veteran trainer with expertise in GRC, ERM, and anti-corruption. Nuno Pestana, Professional Services Manager at WeDo, will give a presentation about SIP fraud detection. Award-winning consultant Geoff Ibbett will tell the audience about the Revenue and Cost Risk Catalogue he has developed for RAG. Luke Taylor will return to announce which African professionals have been selected for induction into the Hall of Fame. The event will close with our traditional ‘wise heads’ panel, featuring experienced practitioners who will review the key learning points from the conference and discuss the state of our industry. Well-known Nigerian consultant Ambrose Nwadike will join the panel, and the moderator will be Eric Priezkalns of Commsrisk and RAG. The conference will be held at the headquarters of Safaricom on Waiyaki Way, Nairobi, Kenya. The venue for the event will be the Michael Joseph Centre, a dedicated conference and exhibition facility situated at Safaricom’s head office. Some photographs of the superb facility can be found here. Attendees of RAG conferences are responsible for booking and paying for their own accommodation, as well as arranging their own transportation to and from the conference venue. Our hosts at Safaricom recommend the following nearby hotels. Conference attendees are welcome to join us for post-agenda networking gatherings on both evenings, where complimentary food and soft drinks will be served. A shuttle bus will transport guests from Safaricom to each venue. The venues are marked on the map above, and more details are provided below. 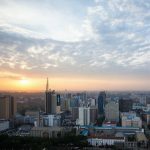 On the evening of 11th September we will enjoy excellent views of Nairobi at the Brew Bistro Rooftop Bar and Restaurant, located at Fortis Tower, Westlands. Our final evening will be spent sharing tapas at the Sarabi Pool & Supper Club, an al fresco lounge at the top of Sankara Hotel in Westlands. also intend to offer free food at networking events on both evenings. Further details will be given when they have been confirmed. We always recommend you check the most recent version of the conference agenda by visiting this website. However, the printable PDF conference brochure can be seen below, or download a copy by clicking here. Managers and staff employed by telcos or telecom regulators can attend RAG Nairobi for free by registering in advance using the official email address of their employer. Registrations are managed via Eventbrite; click on the button to open the registration form. Please complete all the fields to register. The sponsorship window for RAG Nairobi has now closed. RAG allocates a limited number of complimentary seats for freelance consultants, subject matter experts, and other industry leaders. To maintain a balanced audience, these seats will only be made available to specific named individuals. Invitations will be emailed in due course. If you wish to be added to the guest list you should contact a member of the RAG Committee, or else ask for advice from a relevant representative of Safaricom’s host team or one of the conference sponsors. RAG is a not-for-profit enterprise, and telcos and regulators may attend our events for free, as do many specially invited experts. That means we rely on the generosity of the businesses that host our meetings and pay for everything from our web server to the coffee we serve attendees. We would like to thank the following businesses for the contributions that have made it possible to run RAG Nairobi 2018.